Underground Graphics: Show Plates are MUCKIN FINTED! Show plates are an essential part of the show and cruise scene, keeping your reg hidden and completing the look of your car. 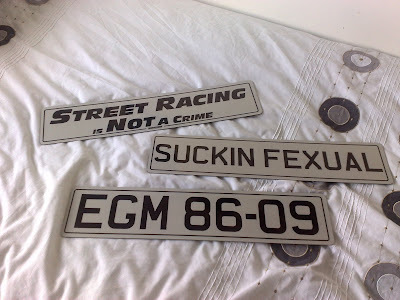 Underground Graphics supply Mini Plates, Custom Show Plates, Bike Plates and Road Legal plates. Email enquiries@undergroundgraphics.com for more details or to discuss your ideas. Remember and take them off before you head home! Show plates for every occasion. 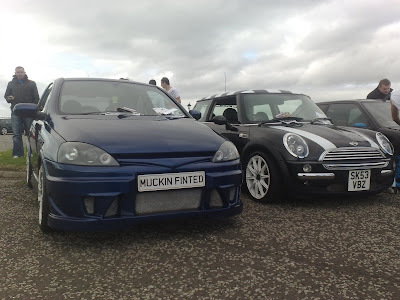 Photos by Stuart taken at Euan McMorland's Memorial Cruise on Sunday 16 August 2009.